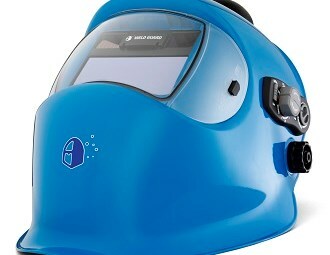 Leading gas and engineering company BOC has launched a new range of specialty helmets for welders. BOC's new PAPR system safety helmet allows workers to work in confined spaces and protects them against UV-IR radiations, flying particles, metal fumes and dusts emitted during the welding process. Models included in the new Weld Guard range are the Auto-Tracker, Multi-Process, Galaxy and the PAPR system. 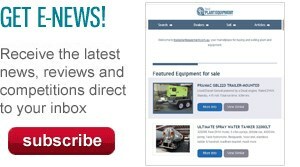 BOC's Senior Product Manager for Safety Joe Martinez says the different Weld Guard helmets offers specific protection levels to be used across most welding processes. "All are lightweight, high impact helmets that comply with Australian Standards AS/NZS1337.1 and 1338.1," he says. The Auto-Tracker helmet is ideal for tungsten inert gas (TIG), metal inert gas (MIG) and manual metal arc (MMA) welding. It utilises unique sensor technology allowing the cartridge to automatically darken to the required shade level and self-adjust to suit the intensity of the arc. The Multi-Process is suited for TIG, MIG, MMA and gas welding and is specifically designed for welders with varied job requirements who need an extensive range of adjustment options. The Galaxy helmet is designed for MIG, MMA, gas welding and grinding. It has a flip front and features a modular viewing adaptor than can be easily swapped in and out to provide multiple viewing options. According to BOC, the most exciting addition to the range is the Weld Guard PAPR system which is a high impact respiratory unit that allows workers to weld in confined spaces. The Weld Guard PAPR system provides protection against UV-IR radiations, flying particles, metal fumes and dusts emitted during welding and associated processes. BOC says the lightweight unit is approved to AS/NZS standards 1338, 1337 for high impact and 1716 for P3 respiratory. The new Weld Guard helmets will be available through BOC distribution centres and Gas & Gear outlets in Australia and New Zealand. Locate a dealer nearby or find out more about the new helmet range on BOC's website.